For the ninth consecutive year, Judge Joseph P. Spinola was voted a “Best Individual Mediator” in the 2018 New York Law Journal Ranking Survey. Resolute Systems congratulates Judge Spinola on this tremendous honor of being recognized by his fellow New York attorneys as the one of the best mediators in New York. Judge Spinola’s other accomplishments include being named voted the #1 Mediator in the U.S. by the National Law Journal in their 2018 Reader Rankings Survey. The survey was conducted online with voters from throughout the country. In addition, he was named a National Law Journal Alternative Dispute Resolution Champion, as part of a select group of less than 50 neutrals nationwide for three consecutive years (2016-2018). 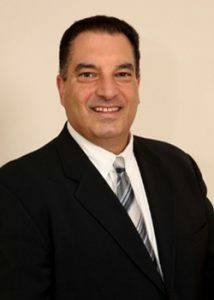 Finally, Judge Spinola has been selected for the sixth consecutive year for inclusion in Super Lawyers in the field of Alternative Dispute Resolution. 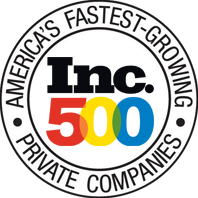 Super Lawyers is a rating service of outstanding lawyers who have attained a high-degree of peer recognition and professional achievement. 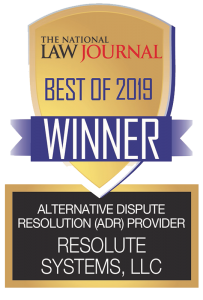 The New York Law Journal Survey recognized Resolute as a “Best ADR Provider” for the ninth consecutive year. The winners of the New York Law Journal Rankings were selected by a popular vote. The voting was conducted via online ballot, compiled by the sales and marketing teams of the New York Law Journal. Readers were notified of the ballot through direct emails and online advertisements linking to the ballot across ALM’s network of websites.